Together we raised $7,000 for the the 911 Toy Drive! 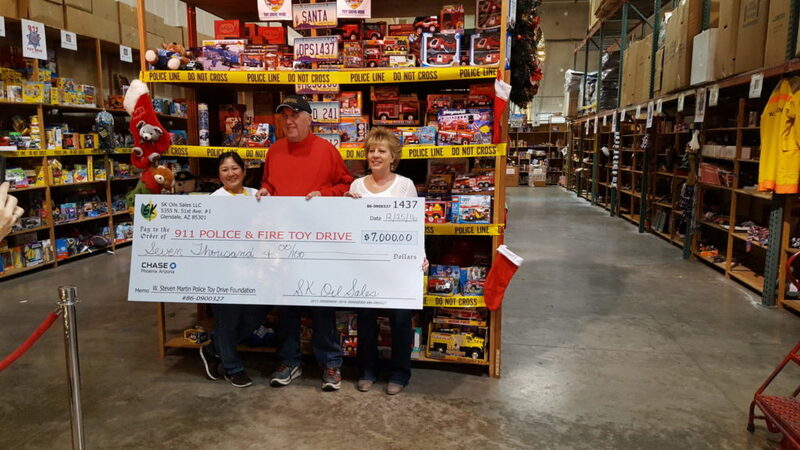 The 911 Toy Drive has been responsible for bringing Christmas joy to children and families for many, many years thanks to the generosity and dedication of W. Steven. Officers and firefighters who take great pride in participating in the drive and we look forward to this special event every year!